Mexico Gastric Sleeve is a patient’s guide to undergoing laparoscopic sleeve gastrectomy in Mexico. Most experts with medical tourism in bariatrics will recommend only Gastric Sleeve Surgery over other bariatric procedures when undergoing medical tourism. The reason? Because Gastric Sleeve only requires patients to undergo one surgery, unlike Gastric Banding, Gastric Balloon. Gastric Sleeve only requires patients to undergo one surgery, unlike Gastric Banding, Gastric Balloon. It can be hard to travel back to Mexico if you’re looking to refill your band or take out your gastric balloon. Other surgeries like Gastric Bypass and Duodenal Switch (DS) are more complicated, more invasive procedures – which can be harder to perform correctly and with great patient’s expectations. Gastric sleeve surgery, on the other hand, is less invasive, and therefore better equipped for medical travelers. Because of these factors, this guide is purely for gastric sleeve surgery in Mexico. Medical tourism has been on the rise in Mexico with more people traveling for treatment and surgery, and one of the most common operations done in Mexico is the weight loss surgery also known as bariatric surgery. It is safe to do this type of surgery in Mexico, but as a patient, you have to take your time and investigate before traveling where you are going and who will help you out in Mexico. This is because there are a lot of medical facilities opening up in Mexico and they all claim to do weight loss surgery. However, not all offer what you are looking for and are some are not safe to be operated in. You also need to put extra time and effort getting to know what type of bariatric surgery that you want that will deliver the results that you want. To ensure that you have a safe weight loss surgery, you need to get a good hospital or a surgeon. You can get referrals to a doctor or hospital facility by searching the internet where you will get positive recommendations from people who have had successful surgeries. You can also get recommendations from your local doctor of a good weight loss surgeon or hospital. Remember that each has different preferences and tastes, so you should evaluate the pros and cons of each doctor or hospital option you get to choose what suits you and makes you comfortable before, during and after the procedure. It should have a Joint Commission International (JCI) accreditation as this determines if the facility best meets the needs of their patients, and improves the safety, quality, and efficiency of their health care. You will find that some hospitals in Mexico have partnered with healthcare organizations in the United States hence this increases their reliability as these agencies make them accountable for high standards of healthcare excellence. The hospital should have an intensive care unit that is well-equipped as it helps deal with any unforeseen events and complications. The hospital staff should have adequate knowledge, experience, and dedication in handling bariatric surgery patients and be able to answer any question that a patient will ask. The cost package offered should not be too low as this means that they compromise on the materials used in surgery and their health care service is low offered hence risking complications. Many doctors are offering bariatric surgery in Mexico hence making it hard to pick the best. However, you need to pick one who is educated, has to experience and is board certified. Get to know the surgeon’s credentials, skills, experience, and reputations, and you should verify all the information given to you by the surgeon. Also get to know how many years they have done bariatric surgery and the success rate. Reading testimonials from their patients will help a lot. Ask about the experience of the surgeon team, i.e., the anesthesiologist, and support staff in handling bariatric patients and this helps in the postoperative care and minimizes surgical risks. The doctor should use high-quality materials and equipment used to reduce any risk of complications arising during and after surgery. As a patient, you should feel comfortable talking to the surgeon, and he should be able to communicate with you in English. The surgeon should be willing to take you through the surgical procedure and expectations and answer any questions that you may have. If the doctor is unwilling or seems frustrated about answering your question, then drop that one and choose another one. Some surgeons will offer more affordable packages to their patients to entice them, but you should be cautious especially if the doctor is unheard of. Get a surgeon who has been in practice for years and has been successful in the weight loss surgery. Ask the doctor if the surgery will be done in a hospital or clinic setting as it is best to have the surgery done in a well-equipped hospital that can handle any complications. Get a doctor who will agree to continue management postoperatively as most don’t want to be associated with any issues that we arise once outside Mexico. However, you can connect the surgeon in Mexico with your local doctors at home so that they can communicate with each other on the best care and about your condition during and after the surgery. Bariatric surgery has helped people who are obese and also have other obesity-related complication to reduce their weight through surgery. It is an expensive procedure, but the cost of doing bariatric surgery in Mexico is much cheaper when compared to the United States, Canada, and other countries. This type of surgery is also available in these countries, but most insurance companies don’t pay for weight loss surgeries hence forcing one to go back to their pockets and pay for themselves which is very costly. That is why more and more peopling to travel to Mexico to have the surgery done there, and this saves them thousands of dollars. The medical tourism companies that offer bariatric surgeries in Mexico face stiff competition from each other. The malpractice insurance costs are low in Mexico hence patients are not encouraged to file lawsuits. Patients get follow-up care for free which contrast the large cash settlements in other countries. Administrative costs and paperwork cost much less in Mexico. Mexico as a low-cost of living hence surgeons and other medical personnel are also paid lower salaries, and medical supplies cost much less hence one paying less for surgery. The American Dollar exchange rate is much higher and keeps on increasing when compared to Mexican Pesos hence making it cheaper to pay in Mexico. Most hospitals and surgeons offer specialized services rather than focusing on tracking and collecting money, hence offering better prices and you are given a comprehensive bill. The weight loss surgery cost comes as a package to provide the patients with all-rounded care. The package will also vary in different hospitals, so it is better to ask what the hospital offers in their package. All ground transportation for you and one support person to and from the hospital. Preoperative tests and evaluations such as electrocardiogram, chest x-ray, blood work, urine test, nutrition fees, doctors and anesthesiologist evaluation. Surgery costs, which include surgeon’s fees, anesthesiologist fees, operating nurse’s fee, hospital charges, and medication was given. Postoperative costs such as post-op tests such as fluoroscopy and consultation fees. Hotel stays in a hotel for at least four days. Discharge medication and nutritional information. Extra bed and food for your support companion in the hospital. The material and surgical equipment used for surgery – gastric sleeve and gastric bypass surgery require high-quality material so that there doesn’t arise any complication such as gastric leak during and after the surgery. Training of the personnel – the number of professional staff who attends to the patient before, during and after the surgery matters, i.e., the more the personnel, the higher the price as each personnel cost will be added to the final bill. Quality of infrastructure and facilities – the price differs when you do the surgery in a hospital, which is higher than in a clinic. However, it ‘s nice to go to a hospital that is well-equipped as it helps in case of any unforeseen event or complications. Findings during the surgery – when surgery is being done there is a possibility of finding a hiatal hernia, and this means that the surgeon has to rectify this too hence increasing the cost. The body mass index (BMI) of the patient – a patient with a BMI greater than 52 has to spend more time in the theatre hence more drugs and equipment will be used in surgery. To get the best care while in Mexico, you need to look for a facility that has been accredited by the Joint International Accreditation and has qualified surgeons and medical personnel. You can also check online reviews, and this helps you know the most recommended hospitals and doctors who have done successful weight loss surgeries. You can make this appointment through the phone or video call where the doctor will advise you on what to do prior surgery regarding diet and exercise. You will also be able to set a date when the surgery will be done. Ask about any vaccinations you will need before traveling. Travelers going to Mexico are required to have typhoid and Hepatitis A shots according to the CDC, therefore, ask your doctor which ones you should get before traveling. It mostly takes eight weeks to get a passport, so it is important to apply for one early enough if you don’t have one. Once the passport is ready, you can finalize the travel plans, and the doctor in Mexico will conclude on the all-inclusive package which includes hospitals stay, room amenities, nurses’ visits, surgeons’ works and medical prescriptions. Most doctors will recommend you to visit two or three days before surgery to have adequate rest before going in for surgery. This also allows you to get over jet lag and culture shock makes the surgery less stressful because you get comfortable in the new environment and you are also able to undergo any preoperative procedures. Take care of what you eat and drink to avoid any stomach complications before surgery. The two weeks stay in Mexico allows you proper recovery, prevents serious complications such as Deep Venous Thrombosis and postoperative evaluation by the surgeon before traveling home. You may take a companion who will take care of you when out of the hospital and be recovering in your room, and they should know your medical history and any preferences. Nowadays, most healthcare insurers are offering to pay for travel and lodging for spouses or companions. Take steps to prevent deep venous thrombosis (DVT). If you are a smoker, stop smoking at least six weeks before surgery as smoking increases the risk of developing blood clots. Ask your doctor if you should wear any elastic flight socks or compression stockings while flying. You need to have a low body mass index (BMI) which reduces the risk of developing DVT so ensure that you lose as much weight as possible. If you are taking any birth control pills or hormonal replacement therapy, talk to your doctor to give you an alternative as the pills can thicken your blood hence increasing DVT development. Ask your doctor if it is necessary to take blood thinners (anticoagulants) whiles you travel. Ask also if you should use a pneumatic compression device during and after surgery. As you book your flight, choose an airline or passenger class that has sufficient room so that you can stretch your legs. Before takeoff, take a half an hour walk. Wear loose clothing, and if wearing any stockings, they should not roll or constrict your legs. Don’t have any luggage under your seat so that you can move your legs freely. Rotate your ankles and flex your calves every 20 to 30 minutes and get to walk up and down the aisle at least every two hours. This ensures that blood flows smoothly to the legs. Drink lots of water to avoid dehydration and keep away from caffeine, diet soda, and alcohol. Take frequent deep breaths throughout the flight and if you are sleepy, sleep only for short periods. How Safe Weight Loss Surgery In Mexico? Mexico has experienced a huge number of people visiting from Canada, United States and other parts of the world so that they can have weight loss surgery. This medical tourism has made Mexico to be regarded as a plastic surgery center, and it is driving millions of dollars in a year. Weight loss surgery which is also known as bariatric surgery is common because most obese people want to shed the extra pounds faster where traditional methods have failed and also deal with other ailments such as diabetes, hypertension and heart diseases. The success and growth have been made possible through the online forums where there are real testimonies from people who have had surgery in Mexico. The healthcare regulations in Mexico have very strict just like the ones in the United States, and they don’t believe in compromising the health and safety of their patients at any cost. However the question is, is weight loss surgery in Mexico safe? Yes, it is, provided you correctly do things, and you need to consider a few things to ensure safety. Safety starts with you making the safest option for your health and well-being. The first thing is ensuring that you get a first-class facility/ hospital rather than the clinics that are hidden on a back street. Various clinics are opening up each month, and it has now become hard to differentiate between a certified clinic and a bogus one. For safety purposes, get a facility that has been accredited by JCI (Joint Commission International Accredited) which is an evidence of the high standard of patients care and treatment before, during and after surgery. Get the operation done in a hospital setting rather than an outpatient facility or clinic that offers weight loss surgery because a hospital has all the facilities that will take care of you in case any eventualities do occur. The doctor will not discharge you from the hospital if you seem at risk of any complication and you can return if there arise any complications while at home. Mexico has the most talented and qualified in Latin America as they have undergone strenuous study, testing, and internship before attending to any patients. They are responsible for you during and after the procedure, and it may take up to two weeks before a doctor the go ahead to return home. These doctors have handled a significant number of patients when compared to their American counterparts hence giving them advanced experience in weight loss surgery. However, there are quacks amongst them, so you need to verify the surgeons credential before having surgery. The best way to get a surgeon who has specialized and is certified by third party verification where an organization has tested the doctors’ information provided and has approved it to be true, accurate and not misleading. Going to an unqualified doctor most times leads to complications, and when the patient returns to have it rectified, the possibility finding the doctor who operated on them is 9 out of 10. You can get many online testimonials and experiences about particular surgeons, and this will help you make a decision which doctor to see. The price of weight loss surgery is the number one factor that makes people go to Mexico for weight loss surgery. Although the cost is a bit high, i.e., about $6,000, it is much cheaper than in the United States and Canada which may go up to $15,000. Most health insurance companies don’t pay this type of surgery, hence making people have to pay out of their pocket. The hidden clinics on the black market will charge you a fraction of the cost, but you are not assured of safety during the procedure and also healing after the procedure. However, when choosing a clinic to be wary of choosing one that is too cheap as it could turn out as a wrong deal. There are minimum costs that apply to quality health care, and this should be taken into consideration when choosing a weight loss surgeon. The accredited hospitals have the newest cut edge technologies in the market, ultra-modern labs, advanced equipment and well-equipped patient rooms and these enable the surgeons to do their procedures safely and fast enough. The facilities and infrastructure are the efficient enough, and they do observe a high standard of cleanliness. This assures you that safety and comfort are their number one priority while attending to a patient. Most insurance companies have previously not offered medical travel insurance in their packages, hence making it impossible to pay for the medical cost for their clients when outside the country. However, more people are seeking treatment outside their countries because if the advanced technology and also because it is cheap and this has made the insurance companies consider having a medical travel insurance cover. Medical travel insurance is insurance that covers a person in the event an illness or injury occurs while outside their country. It is the best solution for patients going for medical tourism as it has helped patients who have gone to seek affordable treatment outside their country and also helps address any complication that may arise during and after a procedure. 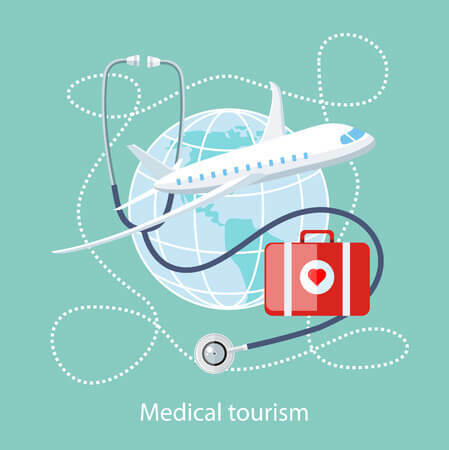 In Mexico, medical tourism is on the rise because of the low medical cost when compared to other countries such as Canada and the United States. However, Mexico doesn’t have an agreement with any country on medical payment hence one is required to pay for medical services offered in any private hospitals which can be expensive. Most hospitals will require you to show proof of credit card or insurance for they do treat you hence the need of being properly insured for medical care when you visit Mexico. It gives you the peace of mind that your medical expenses are covered while away from your home country. In case you are going for a scheduled procedure, you don’t need to look or save up money to travel or for treatment. You are also at peace because you that your medical tour is well covered to and fro. It saves you from paying for any emergency situation while you are on holiday or work which may be expensive for you to pay as the insurance covers all expenses. In case you pay for a medical emergency, then you will get reimbursed for it. Most travel insurances have their agents’ book or plan for your travel and stay in the country you are going to reduce the stress hence and improves your travel experiences. When booking a hospital or clinic for your procedure, ask if they do include planning and insurance in their services and if they don’t, get a medical travel agent to help you sort out this. Most medical travel insurers have an emergency evacuation or air transportation. Choosing the right surgeon and hospital that is reputable for effective treatment and this is through feedback that has been given by other clients. They also link you to the best available resources in Mexico. This is especially for those hospitals that don’t offer this in their package. Just like any other insurance policies, medical policies differ between companies and plans, so it is best to read carefully and get to know what is included in the packages they have. What is the age bracket it covers? What does the policy cover such as flights, hotel stay, medical fee, food, transportation? Does it cover for any complications and which ones?Any deductibles and potential out of pocket expenses that you will be required to pay.What is the coverage limit, i.e., the maximum amount paid for each service offered? How long does the cover remain active? Which countries does the insurance company cover? Does the cover pay only for certain network of providers, i.e., surgeons and facilities? How the insurance makes its payment, i.e., does it pay the providers directly or you have to pay the vendors and ask for reimbursement from the insurance company. Any other coverage included under the policy, such as regular travel insurance. Does it offer any emergency evacuation in case something happens? Having a medical travel insurance cover is much cheaper than when paying direct for certain medical procedures. When you want to buy a medical travel insurance cover, it is best to compare plans of various companies and get their quotes before buying. If going for weight loss surgery, make sure that you get a medical travel insurance that covers for most expenses if not all expenses. You may get suggestions and recommendations from your surgeons to make an informed choice. American Society for Metabolic and Bariatric Surgery: Global Bariatric Healthcare – Learn about the medical tourism industry impacting many gastric sleeve travelers. Six Perks of Having Weight Loss Surgery (Gastric Sleeve and Gastric Bypass) in Mexico – Medical tourism has been on the rise in Mexico with more people traveling for treatment and surgery, and one of the most common operations done in Mexico is the weight loss surgery also known as bariatric surgery. Successful Gastric Sleeve Surgery in Mexico: A Guide – There are lots of hospitals and a lot of surgeons offering weight loss surgery, hence when you have made a choice, you should follow these steps. Affordable Mexico Gastric Sleeve from $3,899 – Learn about Renew Bariatrics packages for medical travelers in Mexico. The package is provided by Renew Bariatrics, which also provides the affordable package for Gastric Bypass Surgery in Mexico. MexicoGastricSleeve.net is a consumer guide to patients undergoing weight loss surgery in Mexico. Learn about the necessary things you need to learn before choosing a surgeon in Mexico.